Dr Mario Terri started with Ashley and Martin in 1996, previously being a cosmetic physician. His passion has always to be at the forefront of medical areas that he has an interest in. Before joining Ashley and Martin, Dr Mario Terri was the owner of a medical centre for cosmetic procedures. He was the first doctor in Western Australia to conduct Botox procedures and has a vast knowledge in the use of laser machines for skin problems. He started his training for hair transplant procedures in the early 1990’s working under Dr Bob Limmer a board certified dermatologist and one of the leading hair transplant surgeons in America. 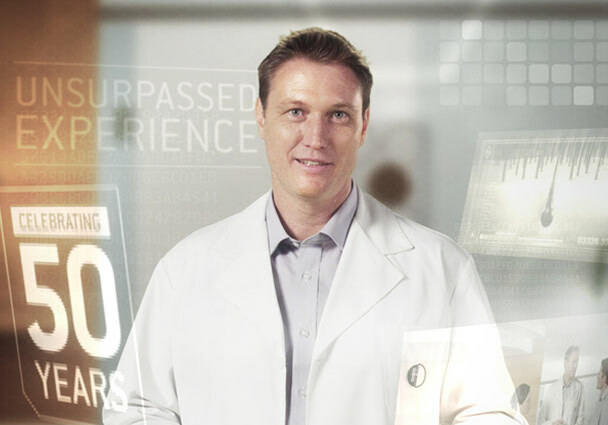 After his training with Dr Limmer, Dr Terri opened up Hair and Skin international in Perth. The market was tough; this was a small company with no established foot print in the hair loss industry. Quickly Dr Terri approached the manager of the Perth Ashley and Martin centre and upon that meeting a new partnership was developed. Dr Terri quickly became the medical and surgical director of Ashley and Martin and the company had a new focus on being the very best at supplying treatments for hair loss concerns. Since his humble beginnings, Dr Terri has now conducted over 25,000 hair loss consultations in the Ashley and Martin Perth centre and has implemented sweeping changes in Ashley and Martin that has resonated into all facets of the hair loss industry. Dr Mario Terri is not only a part owner of Ashley and Martin but is involved as a director of 3 pharmaceutical companies that work in the hair loss arena. Dr Rodriguez joined Ashley and Martin after a career in medicine in the United Kingdom, her last position being as a general practitioner specialising in dermatology cases. Dr Rodriguez’ qualifications include Doctorate – BS Medicine and Surgery (University of Santo Tomas) and a Post Graduate Certificate (with distinction) in Dermatology.